Georgia Regents University Athletics is gearing up for the 2015-16 seasons, and the Jaguars are set for another year packed with 13 NCAA sports. The Jaguars compete at both the NCAA Division I and Division II levels. Both men’s and women’s golf teams compete at the Division I level. 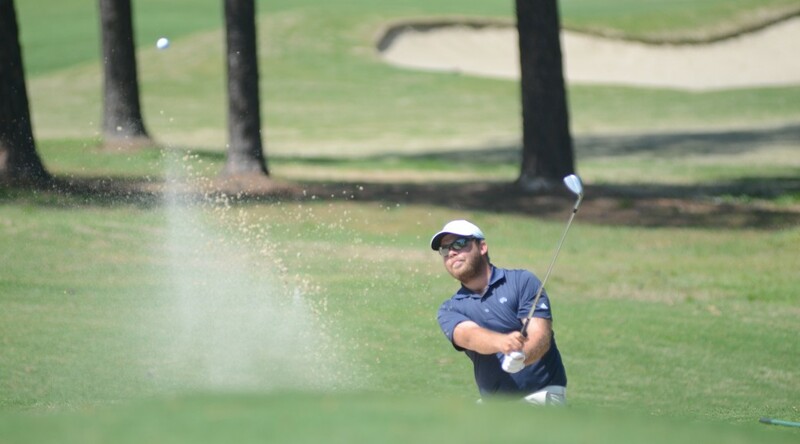 Women’s golf competes as an independent with no division, while the men’s squad is an associate member of the Mid-Eastern athletic Conference (MEAC). The Jags compete in Division II in women’s volleyball, baseball, softball, and women’s and men’s cross country, basketball, tennis, and track and field. The 11 DII sports compete as proud members of the Peach Belt Conference, one of the premier Division II athletic conferences in the country. The PBC will celebrate its 25th Anniversary during the 2015-16 season with a year-long campaign that will highlight the many accomplishments of what has become one of the elite Division II conferences in the nation. Since its inception in 1990-91, the Peach Belt has developed a consistent history of excellence which continues to this day with 35 national championships and 28 national finalists. The Jags are coming off the 2014-15 athletic year which saw 11 of the 13 sports reach the postseason at the NCAA Regionals. GRU named two All-Americans in sophomores Clint Hardy (baseball) and Keshun Sherrill (men’s basketball), while the teams produced 20 student-athletes in 10 different sports who earned All-Region accolades and 16 were named All-Conference in the Peach Belt. The Jags also had 27 named to the PBC’s All-Academic list. Jaguar volleyball and cross country begin their new seasons in early September, while golf and tennis commence their fall schedules in late September. Basketball season kicks off in November and golf, baseball, softball, track and field, and tennis open their full seasons in February 2016. Fans of Jaguar Athletics can also subscribe to the Jaguar email listserve by clicking here. 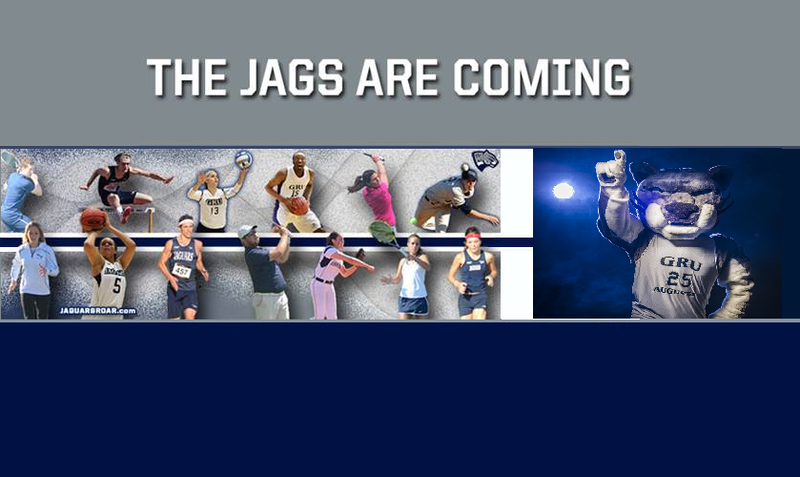 To stay informed, follow GRU Athletics at www.jaguarsroar.com. 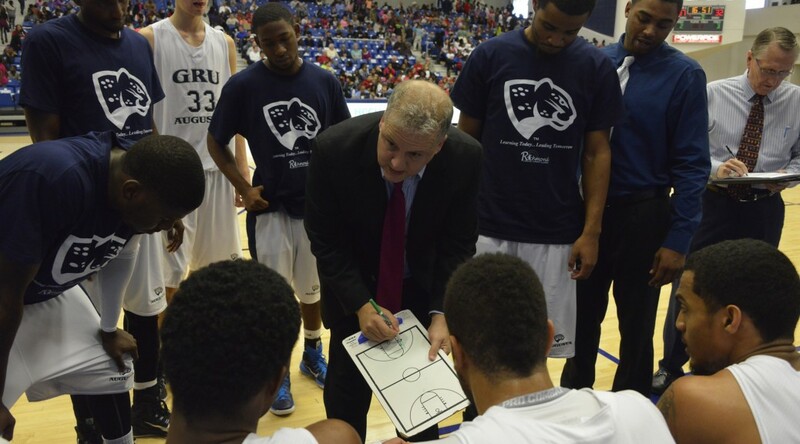 To receive short updates on Facebook and on Twitter at GRU_Jaguars and @GRU_Jaguars respectively. Georgia Regents University Athletics is gearing up for the 2015-16 seasons and the Jaguars are set for another year packed with 13 NCAA sports. The Jaguars compete at both the NCAA Division I and Division II levels. Both men’s and women’s golf teams compete at the Division I level. The Jags compete in Division II in women’s volleyball, baseball, softball, and women’s and men’s cross country, basketball, tennis, and track and field. The Jags are coming off the 2014-15 athletic year which saw 11 of the 13 sports reach the postseason at the NCAA Regionals. GRU named two All-Americans in sophomores Clint Hardy (baseball) and Keshun Sherrill (men’s basketball). The teams produced 20 student-athletes in 10 different sports who earned All-Region accolades and 16 were named All-Conference in the Peach Belt. The Jags also had 27 named to the PBC’s All-Academic list. Jaguar volleyball and cross country begin their new seasons in early September, while golf and tennis commence their fall schedules in late September. Basketball season kicks off in November, while golf, baseball, softball, track and field, and tennis open their full seasons in February 2016. 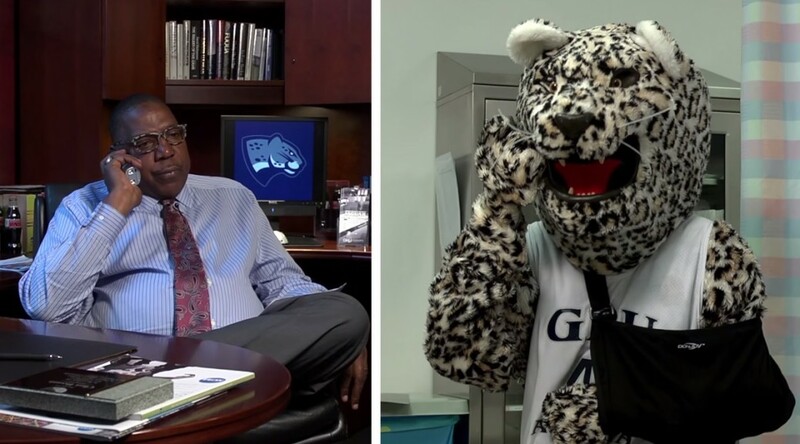 Longtime Jaguar mascot Al E. Cat’s need for Tommy Jaguar surgery places the future of GRU’s top cat in doubt. Watch the video for more information. The Peach Belt Conference announced that the league will celebrate its 25th Anniversary season in 2015-16. The year-long celebration began on July 1, 2016, with the unveiling of the 25th Anniversary logo which will be the league’s official logo for the next year. Although the league began playing men’s and women’s basketball in the 1990-91 year, it was not until the 1991-92 season that the conference held its first basketball championship tournament and began nine other championship sports. Georgia Regents University joined the conference in 1991 and UNC Pembroke became the ninth member on July 1, 1992. They were followed by Kennesaw State University on July 1, 1994, Clayton State University on July 1, 1995 and the University of North Florida on July 1, 1997. Kennesaw State and North Florida departed for the Division I ranks in 2005, USC Upstate did the same in 2007, and the conference welcomed in the University of North Georgia in 2005 and Georgia Southwestern State University in 2006. In 2009-10, the Peach Belt added Montevallo and Flagler. Young Harris became the league’s 14th member in 2012-13 and in 2014 completed the transition to full NCAA Division II status. To date, the Peach Belt Conference is home to 35 national championships including the 2015 Armstrong women’s tennis team and the 2015 North Georgia softball team. The PBC’s 25th Anniversary celebration will encompass a variety of activities and special projects. An anniversary committee has been established to oversee the celebration which will include special video projects, social media posts, contests, historical facts and trivia and the top 25 moments in PBC history. 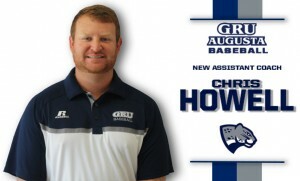 The GRU Augusta baseball team gained a new assistant coach in Chris Howell for the 2016 season, Head Coach Jason Eller announced on Wednesday afternoon. Howell comes to Augusta and the CSRA after spending last season in the Peach Belt Conference as a top assistant at Young Harris College. In the 2013 and 2014 seasons, Howell enjoyed a stint at Middle Georgia State College as an assistant coach. Howell was the pitching coach and recruiting coordinator for the Knights during those two seasons and coached current GRU players Matthew Kuhlenberg, Cole Thompson, and Drew Taylor while with the MGA Knights. “Coach Howell brings a pitching plan that is one of the best in the state of Georgia,” Head Coach Jason Eller said. “(Chris) is the ideal addition to the GRU baseball program as we continue to work our way onto the map”. Howell began his coaching career at his alma mater Tiftarea Academy – a private school in Chula, Ga. During his four-year stint with the Panthers baseball program, Tiftarea won the 2009 GISA Class AA State Championship and was runner-up the following year. Howell garnered state coach of the year accolades in 2009 and Region 3-AA Coach of the Year honors in 2009 and 2010 while at Tiftarea. A native of Fitzgerald, Ga., Howell was a three-time, all-state and four-time, all-region player at Tiftarea before starting his college career at Pensacola Junior College. He pitched two years in the Panhandle Conference and furthered his career to the University of Tennessee where he pitched two years for the Vols. His career with the Vols ended strong by helping his team advance to the 2005 College World Series in Omaha, Neb., as a senior. After college, Howell pitched two years professionally for the Los Angels of Anaheim organization. He earned his bachelor’s degree in education from Tennessee and an associate degree from Pensacola. 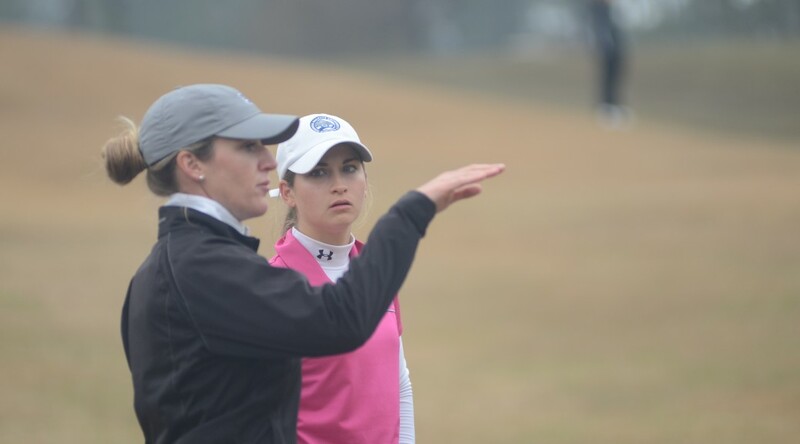 GRU Augusta women’s golf head coach Kory Henkes has accepted the head coaching job at the University of Mississippi and will begin her coaching duties at Ole Miss for the 2015-16 season. In four seasons as head coach of the Jaguars, Henkes made a NCAA postseason appearance every time. She guided her first squad in Augusta to the 2012 NCAA East Regional at Penn State’s Blue Course in State College, Pa. In 2013, Natalie Wille and Casey Kennedy competed as individuals at the NCAA East Regional at Auburn University Club in Auburn, Ala., under Henkes’ guidance. The Jags found themselves back in the postseason in Henkes’ last two seasons, bringing a full team to the NCAA West Regional at the Tumble Creek Club at Suncadia Resort in Cle Elum, Wash., in 2014 and most recently to the NCAA East Raleigh Regional at the Lonnie Poole Golf Course in Raleigh, N.C.
After breaking into the NCAA Division I top-25 rankings for the first time ever on Oct. 22, 2014, Henkes’ team earned a 21st national ranking – the highest standing in the history of the program. Henkes replaces previous Rebels head coach Michele Drinkard, who led Ole Miss to five NCAA appearances in eight seasons. 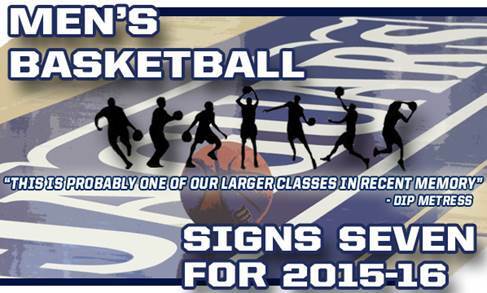 GRU Athletics will begin a national search immediately to fill the vacant position. 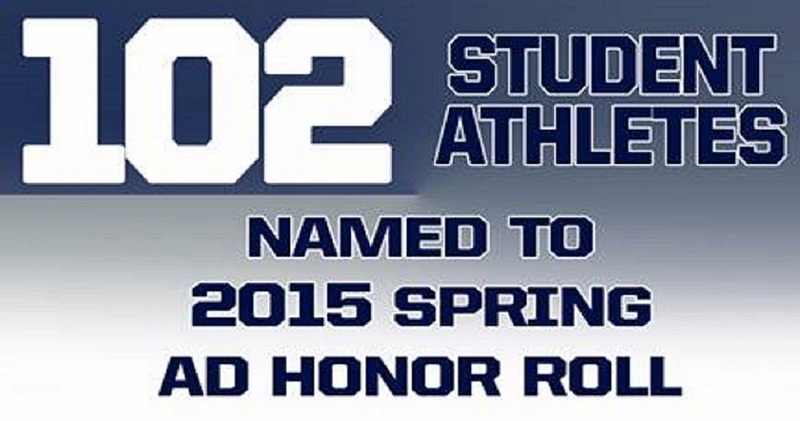 AUGUSTA, Ga. – Georgia Regents University had 102 student-athletes earn a spot on the Athletic Director’s Honor Roll for their excellence in academics during the Spring 2015 semester. To be eligible for the Athletic Director’s Honor Roll, a student-athlete must register a term GPA of 3.0 or better.